What are some ways the ALPR technology has impacted your agency or changed the way your team works? Having a patrol unit that is equipped with an LPR system has had a huge impact on daily patrol. It has given members the ability to be more active with vehicle and traffic violations during their shift. Without a doubt, the LPR has most certainly increased the amount of stops that are made and has assuredly increased the amount of Uniform Traffic Tickets (UTTs) that issue. It gives us the ability to locate cars—for things such as suspended registrations and lack of insurance—that without some kind of equipment or moving violation observed, never would have been located. It also allows members to enter plates or search for plates with previous readings, whether an alarm was indicated or not. This is one of the nicest features of the LPR system. For example if we have a stolen vehicle, missing person, or a vehicle possibly used in a crime, we can take that vehicle data and search the LPR history to find a date, time, and location for when that vehicle passed a patrol unit. We can also enter license plate information into the LPR to alert a vehicle if a crime has just recently occurred and the LPR has not yet been updated through the DMV. Plus, being able to access that information along with having a picture of the vehicle is a great investigative tool for us to utilize. Why do you think a law enforcement agency can't afford to not have an ALPR system? In other words, in what ways do you feel this system has actually saved your agency money? They scan and capture registration data with minimal effort on the officer as they go about their daily patrol. This allows every vehicle that passes to be run against a suspended, expired, stolen, wanted, etc. database. Most every agency can benefit from having patrol units outfitted with LPRs. They are a great tool for locating illegal vehicles and missing persons. Sometimes, especially at night or during bad weather, a police officer might pass a vehicle and not be able to read the license plate or be able to see the type of vehicle it is. Having the LPR able to read that plate and alarm that that vehicle is possibly a missing person or a vehicle involved in a serious crime is a huge benefit. Do you have a specific story you can share with us about your LPR system that shows just how effective it can be? There was one night when one of our members was patrolling in the area of Grant Avenue Road in the Town of Sennett. The LPR had alarmed indicating that the member had just gone by a stolen motor vehicle. Upon stopping the vehicle, it was found out to be in fact stolen. The vehicle was recovered and charges were filed on the suspect operating the vehicle, which was then returned to its owner. Stops like this are significant because not only does the Sheriff's Office make an arrest for a crime that has been committed, but the vehicle was able to be returned to the victim before any irreversible damage could be done to the car. What, if any, feedback have you gotten from the community in Auburn? For the most part, we get questions about the LPR from people who assume that it is some type of radar device. After explaining to citizens what in fact the LPR is and its capabilities, most people are surprised that something like that exists. We do get a lot of questions as to whether or not the LPR is able to read for inspection stickers. Overall though, we have gotten good feedback from citizens after explaining the purpose and capabilities. The general public is pleased with the fact that we are able to locate a missing person just simply by driving by that individual or possibly apprehending a dangerous suspect for a crime. It has also been a reassurance to them that we are able to stop people for suspended registrations from not having any insurance on their vehicles. As the public knows, someone involved in an MVA with no insurance on their car could become a hassle down the road for the other parties involved. 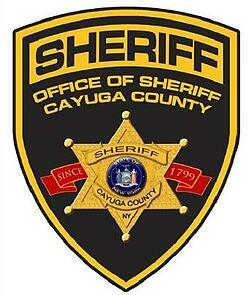 Special thanks to Cayuga County Sheriff’s Office in Auburn, NY for sharing their experiences with us—and for all they do in Auburn to protect the community. Want to talk about how your agency could benefit too? Or about your funding options? Schedule a call today. Or, if you’d like to know what makes Leonardo’s ELSAG ALPR systems different from others, check out this blog post.